Duplicate files consume lots of space on your computer’s hard disk. But finding duplicate files is not an easy task. And specially if you want to find duplicate music files, you are going to spend hours. Because you will have to check each music files by playing it. But you can save your hours if you try DeepGuru Music Edition. This tool is completely free and open-source. The awesome thing about this tool is that it does not try to install any toolbar or adware in your system. DeepGuru Music Edition or DeepGuru ME is a powerful tool. It not only files file names and tags which are same, but it also files songs which are similar, even if these songs are in different MP3 files encoded at different bitrates. The tool is available for Windows, Mac, Ubuntu and Linux. Download it from official website and install it in your system. Interface of the tool is very simple. Select folders in which you want to scan for duplicate files. For this, use the + button at the bottom. 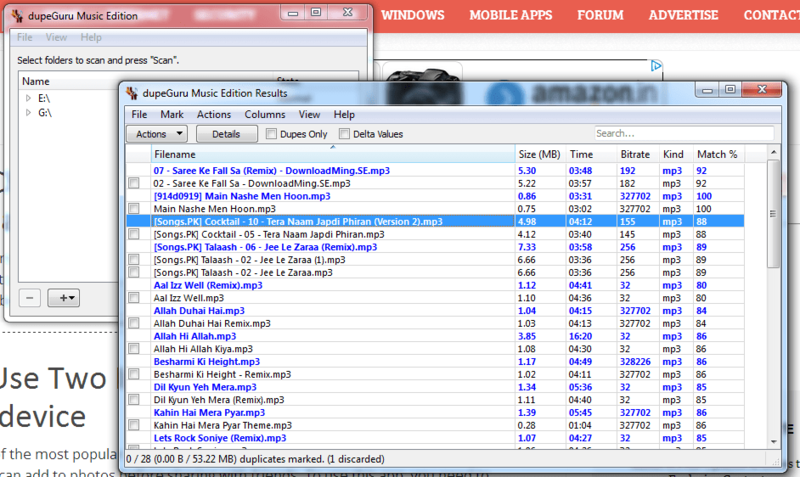 After selecting the folder/folders, click on scan button at the bottom to start searching for duplicate music files. Depending on the folder size, it will take time to scan and searching. Once it has finished searching, it will show you the list of duplicate files. Check the list and then take the action according to you. You can delete or move duplicate files. There are multiple ways to filter and sort results. Sometimes, it also lists the songs which have same name but are not the same. So, you should take this into consideration while taking the action. To make the searching better, you can set search preferences. For this, go to view and then select ‘Preferences’. You can also launch preferences menu by pressing ‘CTRL+P’. 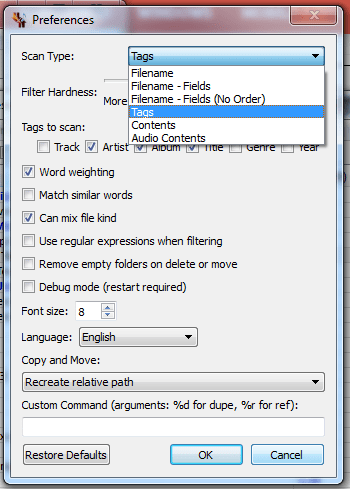 In preferences, you can select scan type to ‘Audio Contents’ for advance searching. In this, it will check the music file content in place of name. There are various other preferences which you can select based on your need. It supports MP3, WMA, AAC (iTunes format), OGG, FLAC, loss-less AAC and loss-less WMA. I personally like this tool and use it to scan with ‘Audio Contents’ scan type. 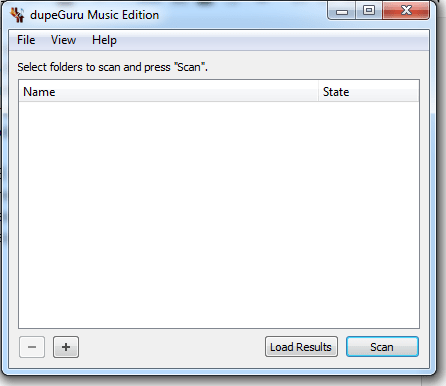 Try this tool for finding duplicate music files and see how it works for you. Do not forget to comment and share your views about this tool with us.